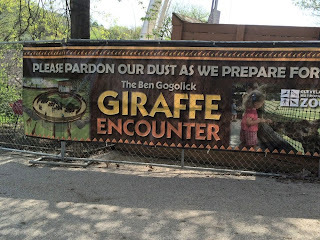 "" Writer's Wanderings: What's New At Our Zoo? The World Cruise laundry was finished, folded, and put away and spring time had come to Cleveland. Time to check out the zoo and see what was new. Temperatures were already in the low 80s by the time we arrived mid-morning. This was more than spring weather, this was an early peak at summer. Yellow school buses were already filling up the outer parking lot but there was still room to park cars nearer the gate. We showed our old membership card and said we hadn't received our new one yet. (Actually we'd just paid our dues that came up for renewal while we were gone.) Not a problem. Our hands were stamped and we were off for our cup of coffee for our stroll. It was interesting to see the rhinos and some of the other animals we'd seen on safari. A lot different to see them in a zoo setting but if I closed my eyes I could still remember the thrill of those encounters on our safari. New at the zoo and only for summer is a penguin exhibit that is quite nice. Six penguins in a temperature controlled environment. 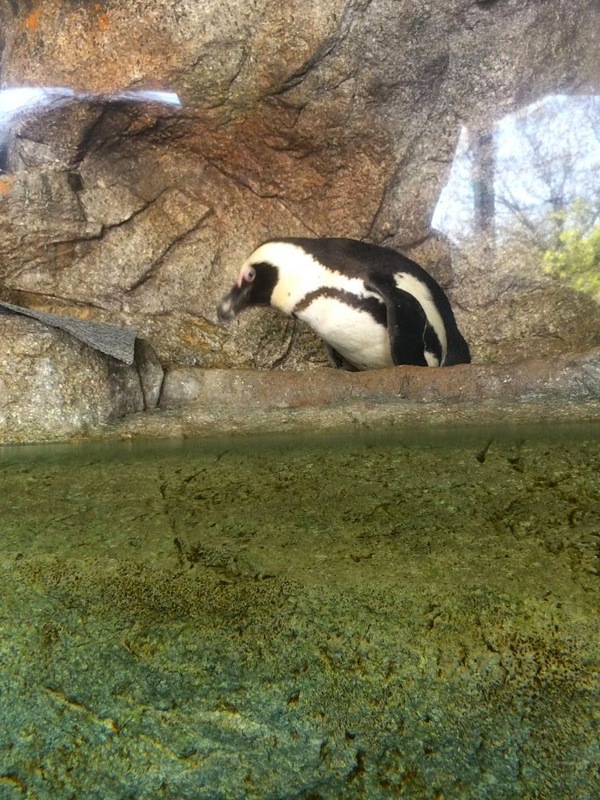 It's nice to see them again at the zoo. I remember when we had a large exhibit in the old bird building. We're still waiting for them to get another hippo too. As we walked around, we couldn't help but notice a huge crane in the area of the giraffes. Sure enough. 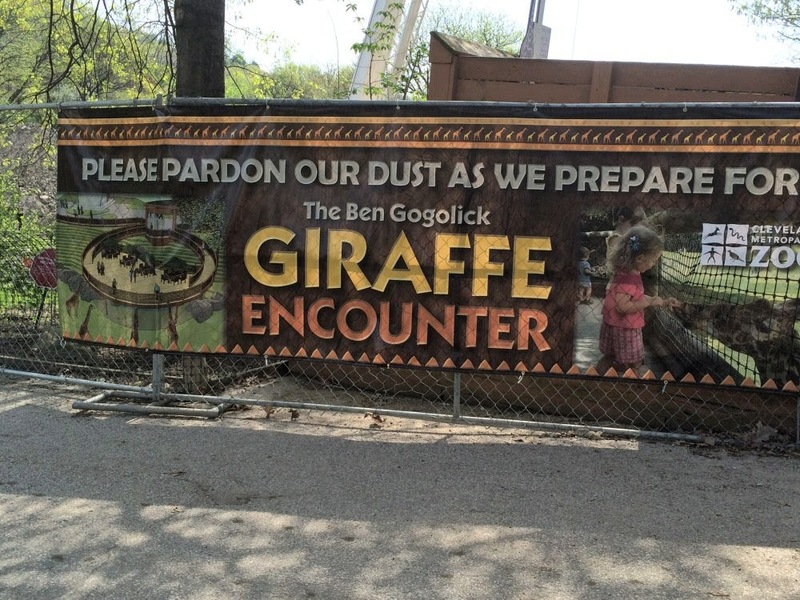 There is a major project underway for a new giraffe encounter. The picture looks like it'll be a really nice addition. It didn't take long for the heat to climb and for us to decide to head for home. A little too much summer too early in spring but we're promised "normal" next week. Normal for Cleveland could be anything. Keeps us on our toes.